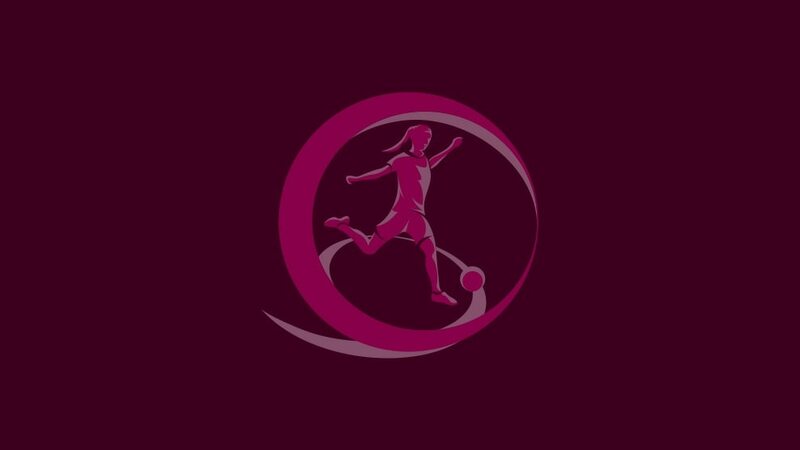 Denmark and Finland booked places at the 2013 UEFA European Women's Under-19 Championship with a game to spare and Norway are close to joining them but Nordic rivals and holders Sweden face a stiff test on Tuesday when the second qualifying round concludes. The Republic of Ireland and Sweden face a winner-takes-all showdown in the final round of matches. The teams claimed 1-0 opening-day victories and Ireland made it two wins from two against the Netherlands despite the early loss of Rianna Jarrett; two goals in four minutes midway through the first half teed up a 2-1 triumph. Sweden had to be content with a draw against Italy, Marija Banušić's second of the game making it 2-2 after a Julia Wahlberg own goal and an effort from Valentina Giacinti, who later saw red. France made light work of Russia in La Louviere, Claire Lavogez helping herself to a hat-trick after the tone had been set by Léa Declercq's third-minute opener. A 6-1 win means a point will guarantee progress on Tuesday when they take on Switzerland. Slip up and the Swiss or Belgium could take advantage as they are both on three points after 17-year-old Lola Wajnblum's strike at the end of the first half set Belgium on course for a 2-0 when the pair met today. Denmark booked their place in Wales with their second narrow win in three days. Victors by a solitary goal against Scotland on Thursday, they needed an 85th-minute strike from substitute Amalie Grønbæk Thestrup to see off Austria after Nicole Bauer (76) had cancelled out Camilla Andersen's first-half opener. It gives them an unassailable lead atop the section but on Tuesday Austria will meet Scotland, 4-2 winners against Ukraine today, knowing they or their opponents could take the best runners-up berth. England kept their hopes alive as strikes from Nikita Parris, Jessica Sigsworth and Katie Zelem earned a 3-0 win against Hungary, but Norway are firmly in the driving seat. Jarl Torske's team overcame Serbia in Kongsvinger, four goals in a 21-minute spell either side of half-time putting them on course for a 5-2 triumph. A point against England on Tuesday will be enough, though they could afford a narrow loss provided Serbia defeat Hungary. Wales coach Jarmo Matikainen will welcome his compatriots this summer after Finland wrapped up the section with a 1-0 win against Iceland, Adelina Engman scoring the only goal five minutes after half-time; her sixth of this campaign. Portugal are second after goals from 16-year-old Vanessa Malho and Diana Silva, 17, earned victory over Northern Ireland. A point against Iceland on Tuesday would secure runners-up spot for Portugal but Finland are guaranteed a return to the finals for the first time since 2005. Four-time winners Germany are on the cusp of a place in the finals after an emphatic victory over Greece. Maren Meinert's team were 5-0 up inside 19 minutes in Heidelberg and a hat-trick from half-time substitute Fabienne Dongus helped them to a 9-0 win. A draw will confirm progress on Tuesday when Germany take on a Czech Republic side who led Spain through Tereza Krejčiříková's free-kick in Saturday's other fixture before goals from Alexia Putellas (74) and Raquel Pinel (87) turned the game on its head. Qualifying for all the groups concludes on Tuesday, with live updates on UEFA.com. The six group winners and the runners-up with the best record against the teams first and third in their section will join hosts Wales in the finals from 19 to 31 August. With Wales hosting August's UEFA European Women's U19 Championship, national coach Jarmo Matikainen looks at the home side's chances and the tournament's legacy. The state of the women's game in Italy was on coach Corrado Corradini's agenda when he spoke to UEFA.com, and he expressed high hopes for a new generation of talent. "It's all about passing," said studious Norway women's Under-19 coach Jarl Torske, eager to dispel the myth that route one is the only way forward for Norwegian sides.